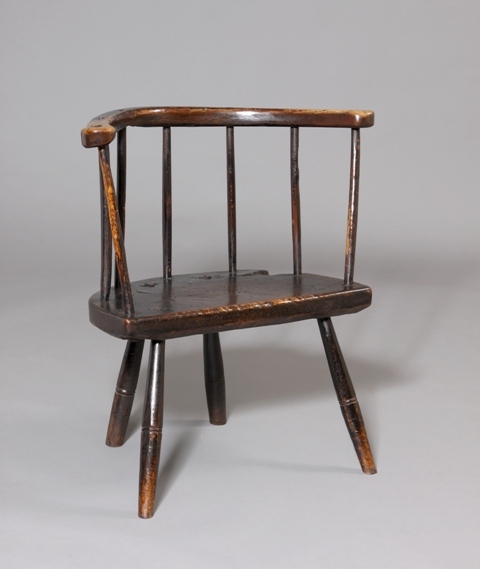 A wonderful chair with original finish. 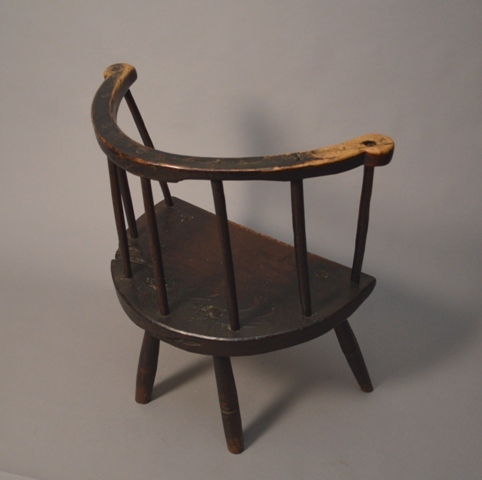 The one piece horse-shoe shaped arm, thick seat and uprights made from sycamore. The legs made from ash. 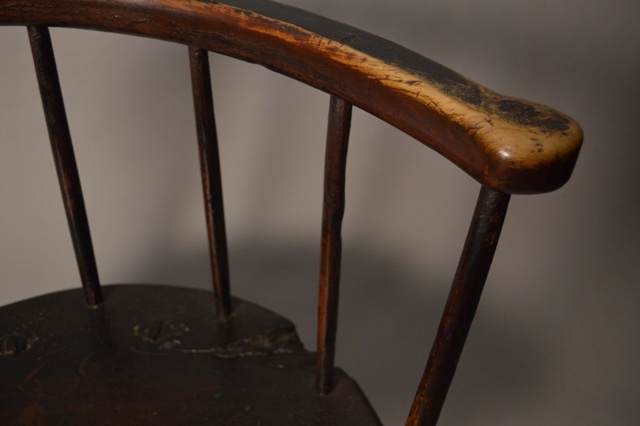 Great patina to this chair. 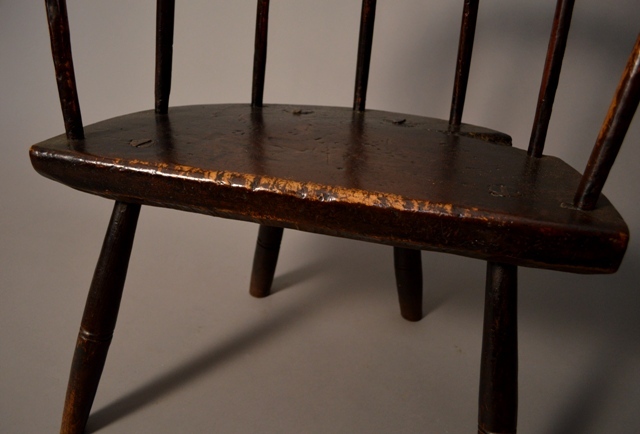 Over the years the original paint and varnish has been worn away in places and this reveals the contrasting pale creamy sycamore.